DJ Ayana: Ready. Set. Spin. In the land of 10 million grooves only a few can grab a hold of the people’s aural senses and captivate their shokras. Spinning cutting edge beats juxtaposed with gritty, get down gems from the cradle of soul. Their weapon of choice: vinyl. We will also be there Friday the 17th (this Friday). Join DJ Ayana and selected friends and celebrate the music that moves us! Music spun on wax. Real 45s cut to make you move. 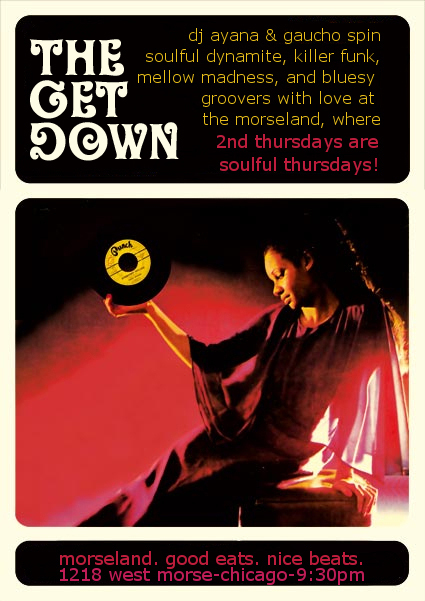 Soul & Funk classics and rarities… plus caramel cake! You bring the drinks, DJ Ayana will bring the grooves. Let’s get UP Friday Night with DJ Ayana and special guest Simeon from local hip-hop group The Primeridian. Funky Disco, Jazz, Gritty Bluesy Movers… Good Music. DJs Gaucho brings you soul on wax (45s to be exact). 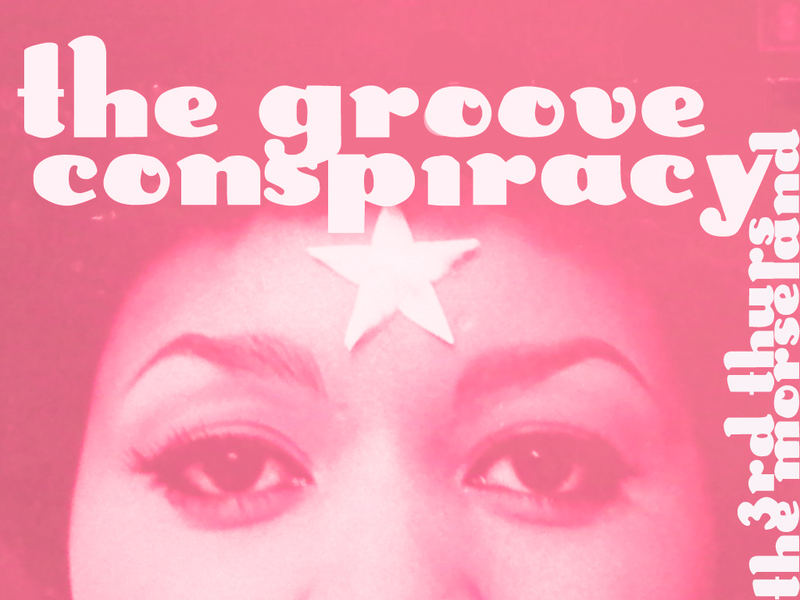 Soulful rarities, Bluesy Groovers… and funky movers. Play a game of pool, have a drink, or just plain get down (Ayana’s on hiatus this month). It’s about that time… and I’ve got more heat. Soulful dynamite. Killer funk. Local Chicago gems. Bluesy groovers. Polyrhythmic madness. The stuff that hip-hop was built upon. And, as always, no cover. 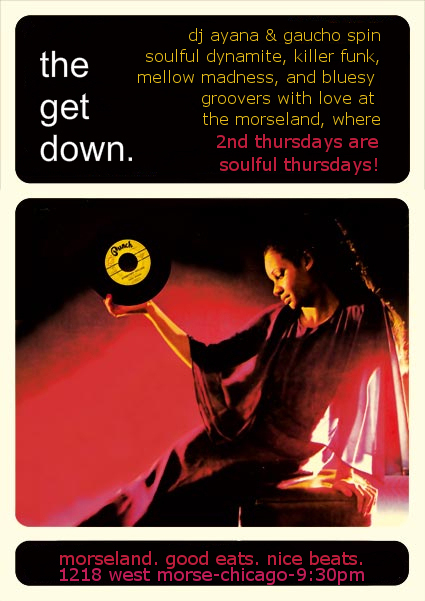 Join me and Gaucho at the Morseland: 1218 West Morse, this Thursday at 9:30pm. Below, rare groove stone-cold gangster lean goodness by The Impressions (of our fair city), “Sooner or Later”. Jive on!